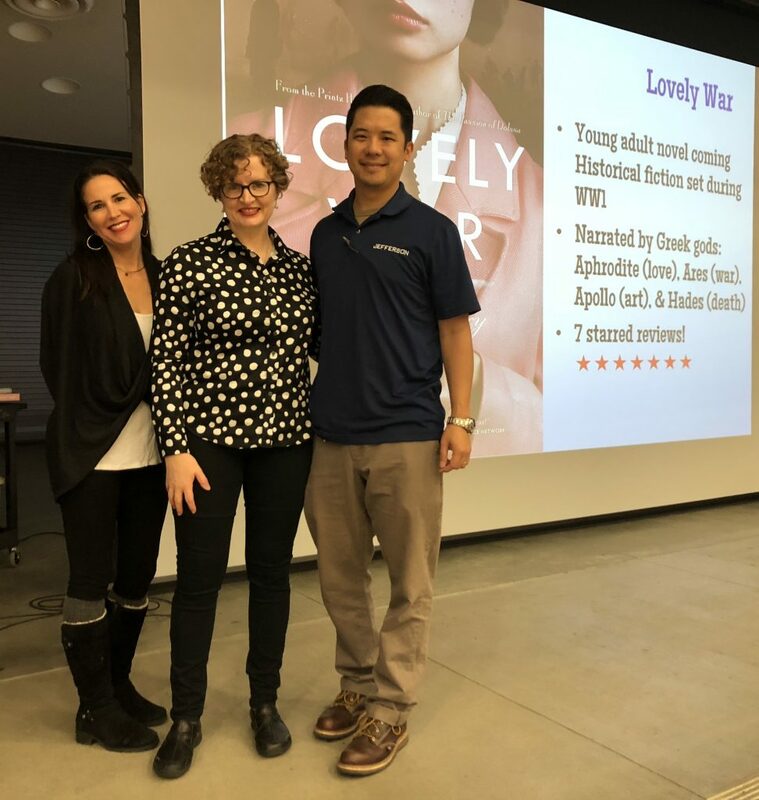 The SEF Board of Directors was thrilled to work with author Julie Berry to bring presentations to students at Jefferson Middle School, Gabrielino High School and Del Mar High School. 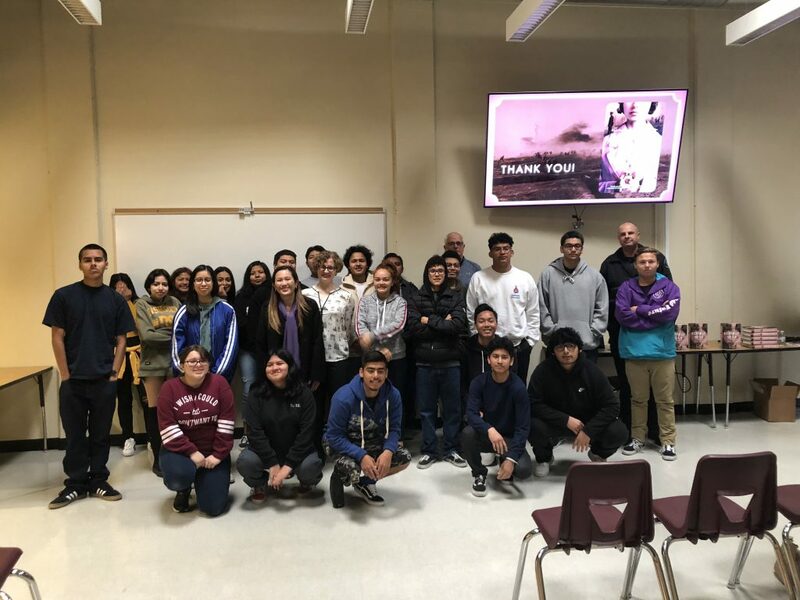 SEF believes that bringing an author presentation and workshop to our schools will help our students make a powerful connection between themselves and the written word. 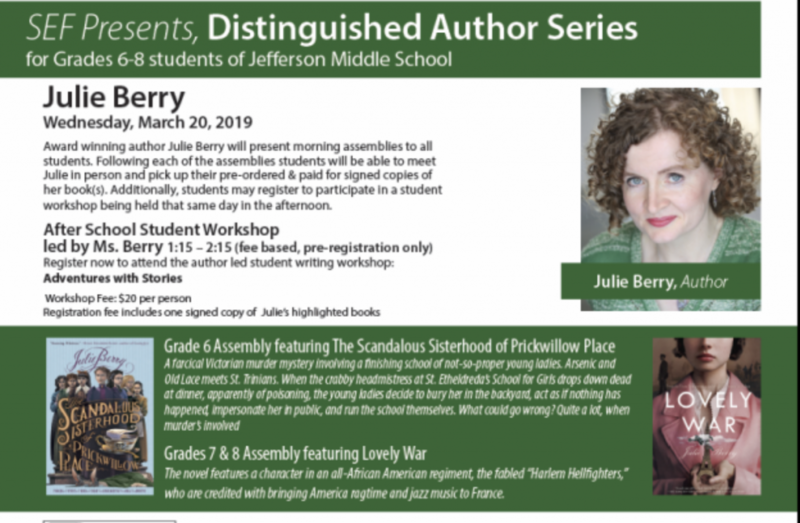 On Wednesday, March 20th, 6th graders enjoyed an entertaining assembly featuring The Scandalous Sisterhood of Prickwillow Place. 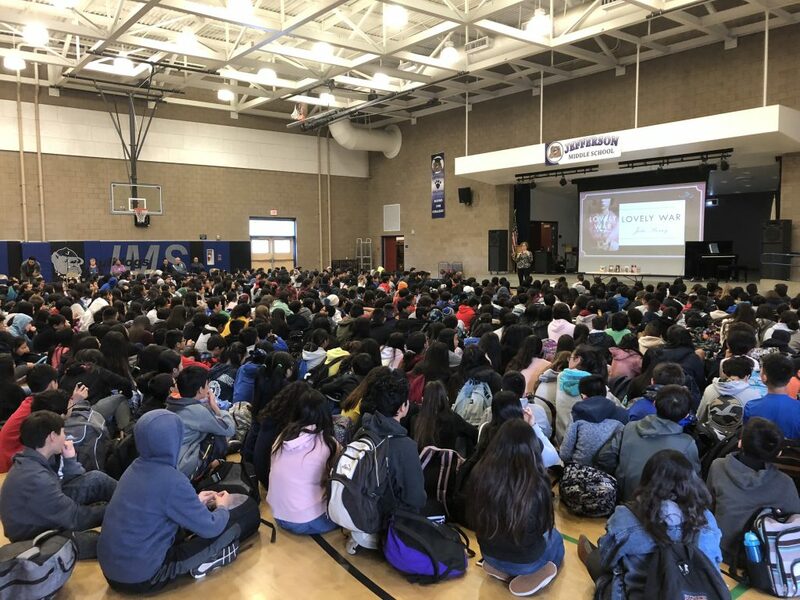 7th and 8th graders participated in an engaging assembly featuring Lovely War. 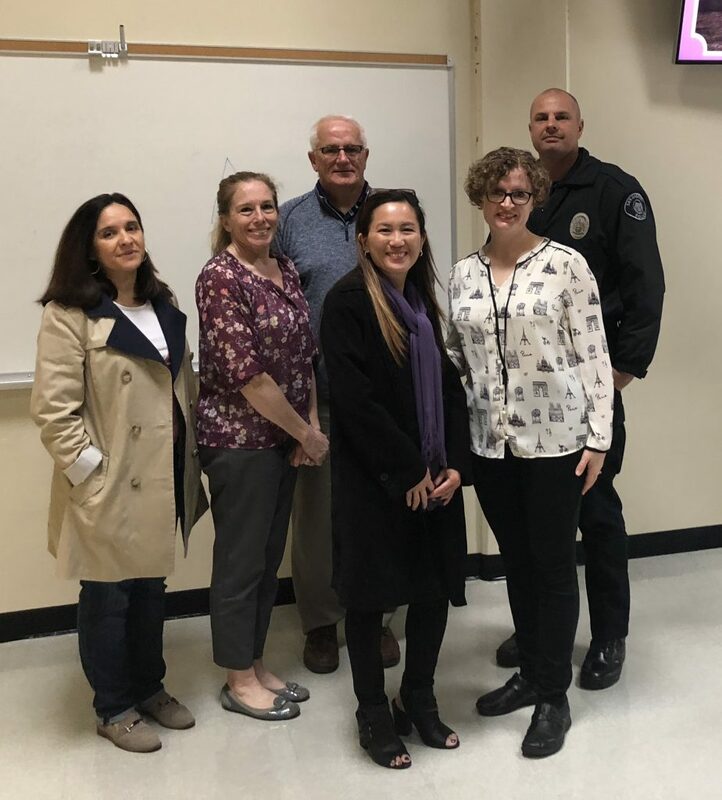 Ms. Berry was also welcomed at Gabrielino and Del Mar High Schools. SEF donated over 150 copies of her novels to the school sites for classrooms and libraries.